A venture that was spearheaded by both a humble passion for baking and of sharing good food with the masses, Don Pie first opened its doors back in 2000 and has since won the hearts of many with their insanely modest yet mouth-watering, all-natural pies. Perfuming the spaces wherever it takes up residence with the savoury aromas of freshly baked pastry, Don Pie is truly a gem that deserves so much more recognition. For one, they aren’t gimmicky in any way, just humble pies (pun intended) made using fresh, quality ingredients and a substantial amount of elbow grease. You’d also be happy to know that despite being five times higher then the cost of margarine, 100% butter is used in all their pies instead because the owner believes in serving trans fats-free pies. This on its own is definitely reason enough to love Don Pie! Besides Don Pie’s signature pies and Kueh Lapis, you should also check out Bazuka Yakibuta which offers a decadent medley of rice bowl comprising meaty deliciousness in the form of caramel roast pork and crackling roast pork. A stalwart favourite and a classic that’s graced many seasonal gatherings is their Shepherd’s Pie (available in beef & chicken). Available in two sizes (S$7.50 for personal size, S$26.20 for family size), this stellar treat is great as a meal on its own or as a centrepiece dish for a dinner party. 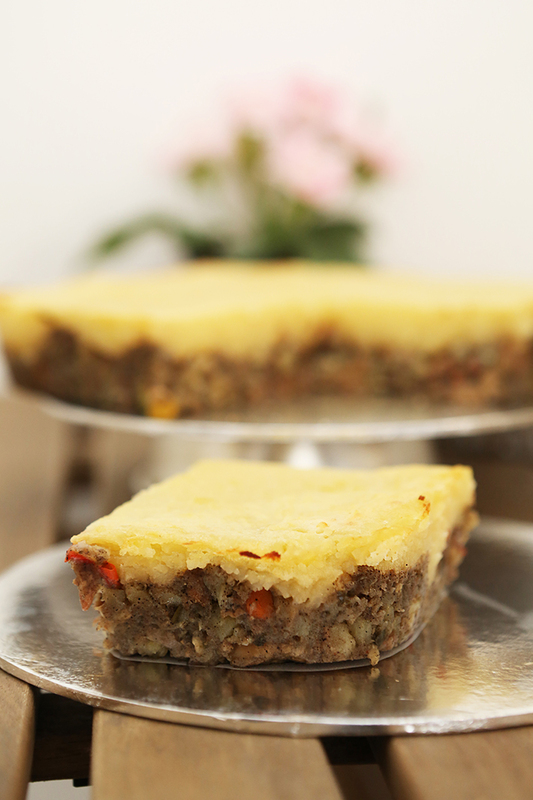 Prepared simply, but with lots of heart, the layered casserole of ground beef (or chicken) and veggies nicely melded together with a rich, savoury gravy that gives the pie a robust body and good flavour. The mash that tops it is velvety and decently seasoned. Not really much to hype about, until it goes under the broiler allowing a blackened, toasted crust to develop at the surface of the pie. Available in a variety of flavours—namely their Signature Chicken, Black Pepper Chicken and Kid’s Chicken—these sizeable bad boys make for a formidable centrepiece at any office party or social gathering. Made using freshly ground chicken, peas, carrots, potatoes, egg and white pepper, the Signature Chicken is ideal for those who would much rather a lighter taste. Its black pepper counterpart, on the other hand, has a more profound flavour profile with a headier pepper aroma. The latter alternative is made without pepper, ensuring that your little ones will be able to enjoy it as well. Family Pies are available at S$27.20. Fancy a quick, easy meal minus the hassle? Well, that’s what their Personal-Sized Pies (S$8.90) were designed for. 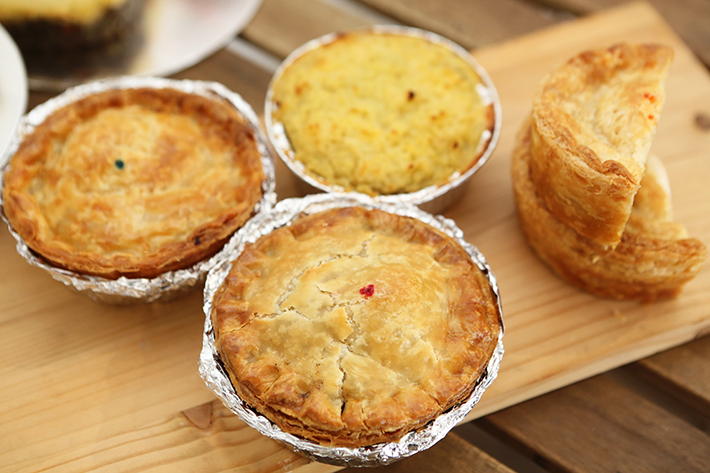 Available in pretty much the same few flavours as its larger counterpart, these smaller pies also feature a curry-filled alternative that is both aromatic, satisfying and a notch tastier than your average curry puff. Comprising a flavourful curry gravy that’s reduced to nearly nothing, diced potato, small bits of onion and a small fraction of a hard-boiled egg, the Curry Pie boasts a mixture of interesting textures, all nicely underscored by a spicy curry flavour. Complemented by the flaky consistency and buttery flavour of the pastry, the Curry Pie was easily one of our favourites of the lot—a definitely must-try should you ever be craving a curry puff but not quite. 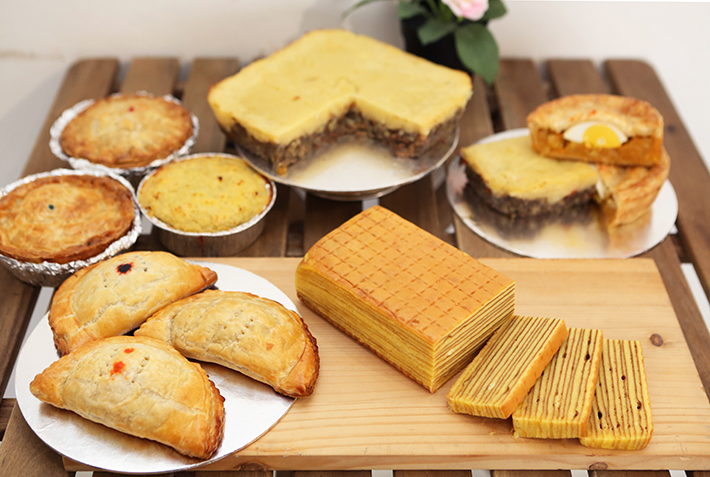 Perfect for sharing, Don Pie also boasts a unique array of puffs (S$13 for 5 pieces). Their Beef puff had a rather bold yet interesting flavour to it, but if we had to choose, the Curry and Signature Chicken would be at the top of our list. If you’re ever in the mood to treat yourself to something sweet on a cheat day, make those calories count with their Signature Kueh Lapis (S$30 for 500g, S$55 for 1kg). Fragrant, bouncy and buttery, their version of the iconic Indonesian cake was an instant hit, and we particularly liked that it wasn’t too sweet. Available in 3 main donburi varieties, patrons get to choose their donburi to come topped with Caramel Roast Pork (S$8.80), with Crackling Roast Pork (S$8.80) or both (S$10.80). The manner in which these porky delights were displayed did not paint such a convincing image in our heads, but as we allowed our teeth to sink into the chunks of pork belly, we were treated to some serious crackling. They nailed the texture down nicely, but it seemed to lack flavour. We had to rely heavily on the sambal served on the side as well as the onsen egg between each mouthful to entice us to finish it. A fascinating addition to their list of offerings (although hardly necessary), we feel that these bowls have potential and would probably fair even better with a few creative tweaks here and there—perhaps an acidic element to better cut through the richness of the pork and the egg. We were actually rather surprised by their Caramel Roast Pork. Sweet, smoky and indulgent the way caramel is supposed to be, the slices were addictive and went exceptionally well with the accompanying ingredients. Topped with a glossy char siew sauce, the savoury appeal of the dish is nicely balanced out with an element of sweetness, allowing for better enjoyment overall. This post was brought to you by Don Pie Singapore.